Hand held sewing machine - American Hand Shears. 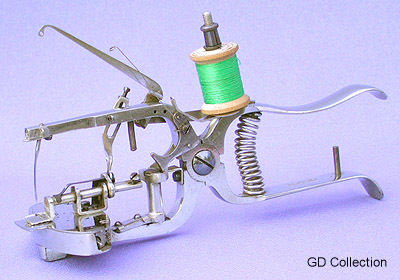 Produced during the mid 1880s, the American Hand machine was beautifully constructed. However the design was not the most practical, the cloth plate being very diminutive, together with an easily damaged take-up mechanism.